Welcome to the first installment of It Came From Comics, a new series of indefinite length exploring everyday terms that were popularized by comics. Click here for the archive! Today's term is Yellow Journalism! But where does the term come from? 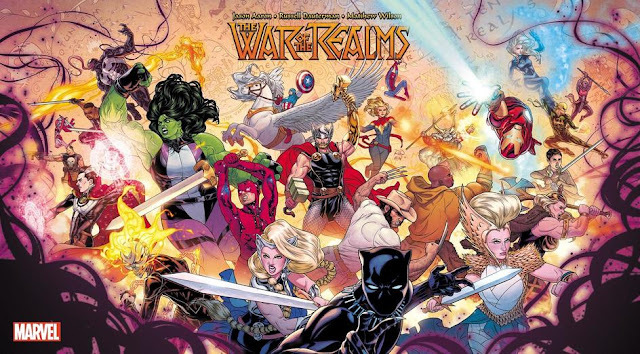 Would you believe that it came from comics? That's right. In fact, it came from arguably comics' first ongoing character, R.F. 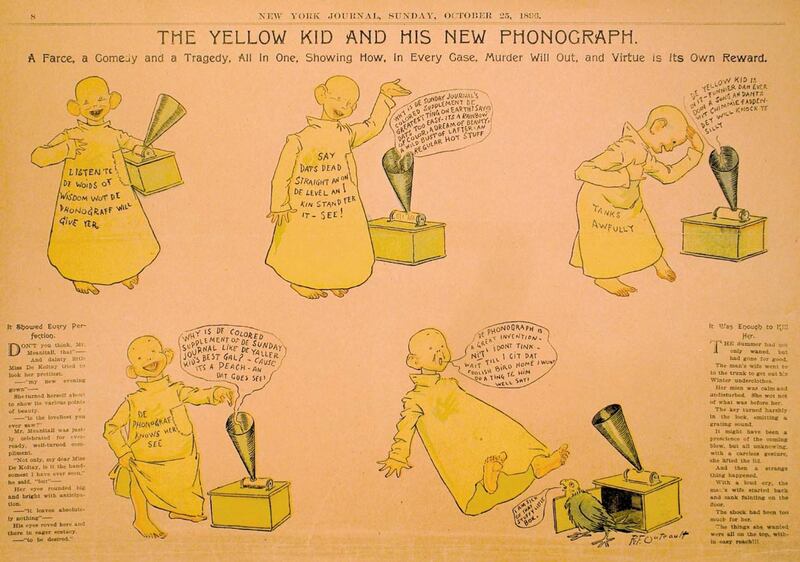 Outcault's THE YELLOW KID! Also from the land of Wiki. And here's one about an impending war at the time. 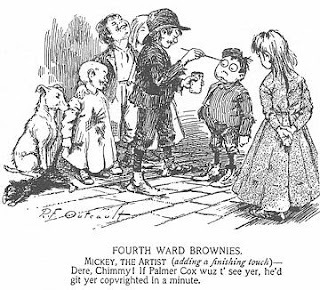 The Yellow Kid was the lead character of these strips (I guess they can't even really be called comics, since they're all single panels), and instead of showing his dialogue as a caption on the bottom, Outcault had a nice device, in lieu of the then-rare word balloon, for the Kid to articulate his thoughts and ideas. He would have the kid speak via his shirt, in a dialect that was meant to evoke the children he himself was representing. Here's one of the Kid with a phonograph. 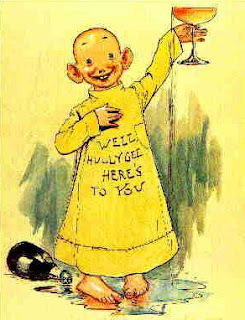 Now, Outcault was then hired over to William Randolph Hearst's New York Journal American, where he took the Yellow Kid with him, but Pulitzer still owned the copyright to HOGAN'S ALLEY, so both newspapers ran cartoons with the Yellow Kid. 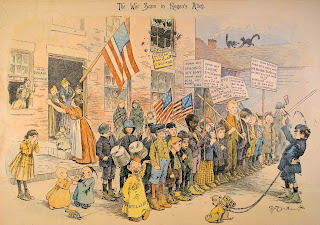 And both newspapers then fell into the trap of fabricating news, falsifying interviews, and sensationalizing headlines in order to turn a profit. Both of these publications featured the Yellow Kid, so this practice was then known as "yellow kid journalism" and their papers were called "yellow kid papers," which were then shortened to "yellow journalism" and "yellow papers"! So the next time you hear of someone winning the Pulitzer Prize, remember what the guy whom the prize is named after did. Remember the Yellow Kid.